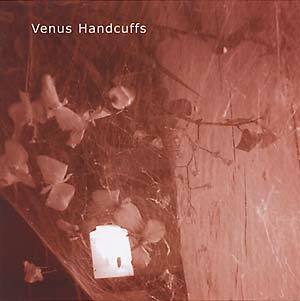 "Referred to as 'a cross between Throbbing Gristle and Nick Cave' during the band's lifetime, Venus Handcuffs (Susanne Lewis and Bob Drake) got their start in the ranks of Colorado's most far-reaching band, Thinking Plague, and went on to infamy after changing their band's name to Hail. This disk is their debut duo recording, and well-encompasses an experimental direction which, while somewhat natural for the time in America, has since been sadly overlooked by those who have followed in their wake. Most of this disk was recorded in the empty (meaning abandoned) Mile High Yogurt factory building in a forgotten and decrepit section of upper downtown Denver, utilizing the large, empty industrial spaces as sonic effects (reverb, ambience, echo etc.). Most of the instruments and equipment employed were rather 'low-tech' and as run-down as the space itself, adding a unique charm and intimacy to the sound: This is art for the ears, and hearkens back memories of The Factory and the New York art rock scene in general, but brings a uniquely 'post-punk' fortitude to the forefront of its style."